What is a Co-operative Artist Working Space? The co-operative Artist Working Space is a program designed to empower refugees. Refugees are provided supplies and economic incentives to continue their traditional crafts. Refugees use skills such as sewing, weaving, painting and crocheting to create products that are sold during community events and at local stores. Seventy percent of the profit made from selling refugee-made products goes directly back to the refugee crafter. The remaining percentage is used to ensure that our programs are running smoothly and effectively. Why is the Artist Co-operative Important? 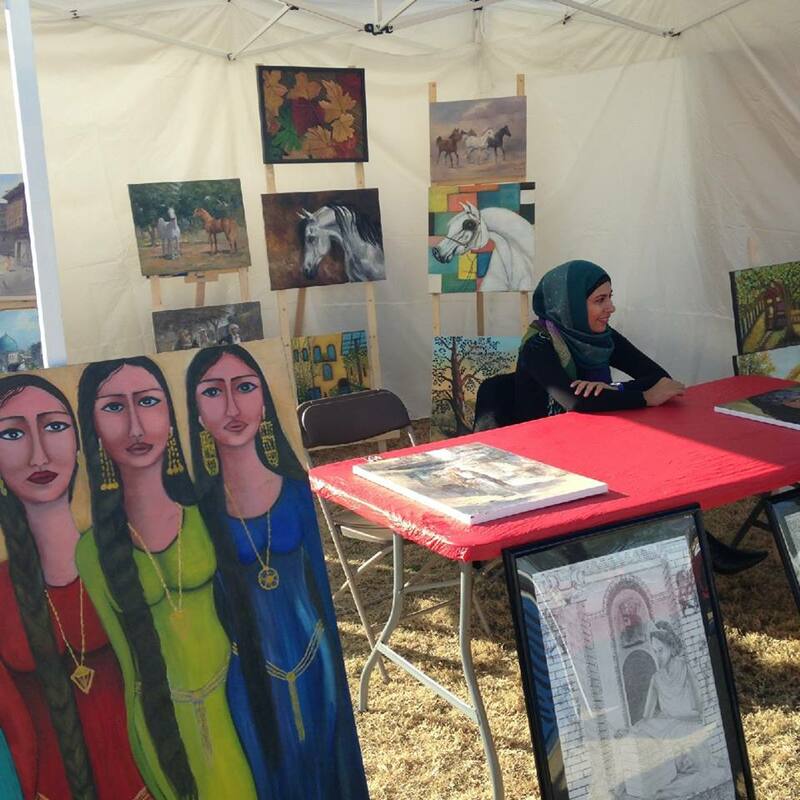 AARRC provides refugees with opportunities to learn the marketing of salable items and to share their culture through festivals and events. Refugees have the opportunity to interact with Phoenix locals and to experience how Phoenix society differs from that of their homeland. These interactions help build up their self-confidence, which leads to English language learning and the understanding of cultural differences. Through experiencing and learning in our culture, refugees take one step closer to being self-sufficient and independent. AARRC’s crafters and volunteers with the craft program are from all walks of life. Refugee crafters are from all across the Middle East, with others welcome to join! Volunteers with the craft program are from all age, socioeconomic, and political backgrounds. Our volunteers, interns, and refugees teach our classes but we are always looking for more help! Do you know how to sew, quilt, bead, crochet, or knit? Do you have patience and a few regular hours a week to teach? Don’t worry! We will organize the class and bring the supplies. You just bring the knowledge! You will never find more eager and loving students than in an our Artist Co-operative! Please contact us right away to get your class started! Where Can I Buy the Products the Co-operative Produces? You can find our products in the AARRC’s office, local stores, at festivals and through this link on our Etsy. YOU can purchase the home-made items for yourself and for gifts from our online catalog. YOU can donate crafting supplies. YOU can lend your artistic abilities to teaching the refugee artist a new craft. Teaching skills: When marketing and selling products, refugees have an opportunity to practice English and learn important business skills. Creating Revenue: 70% of income from refugee made crafts is returned to the refugee immediately. Informing the Public: When selling our products, AARRC is able to spread the word about recycling, local Artisans, and refugees. Helping AARRC : 30% of income from refugee made crafts is used by AARRC to continue supporting refugees and programs for refugees.